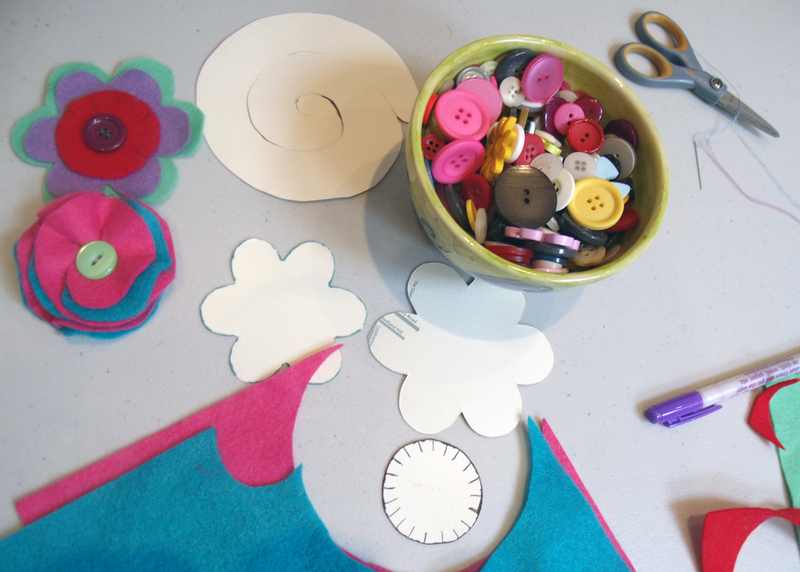 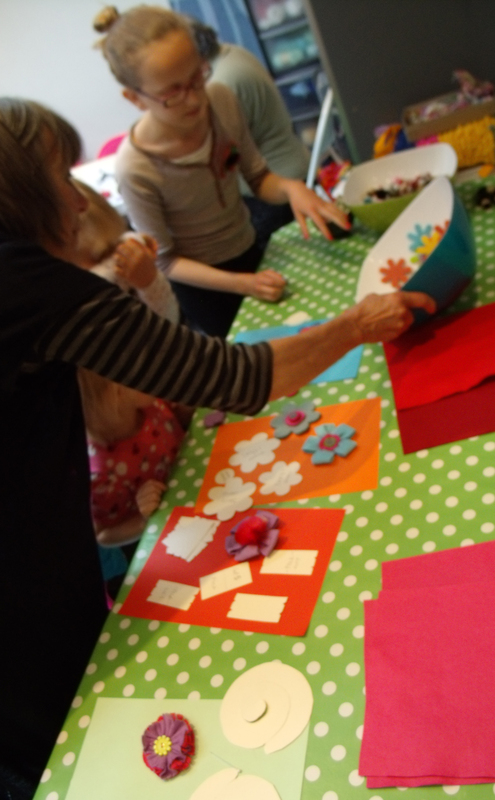 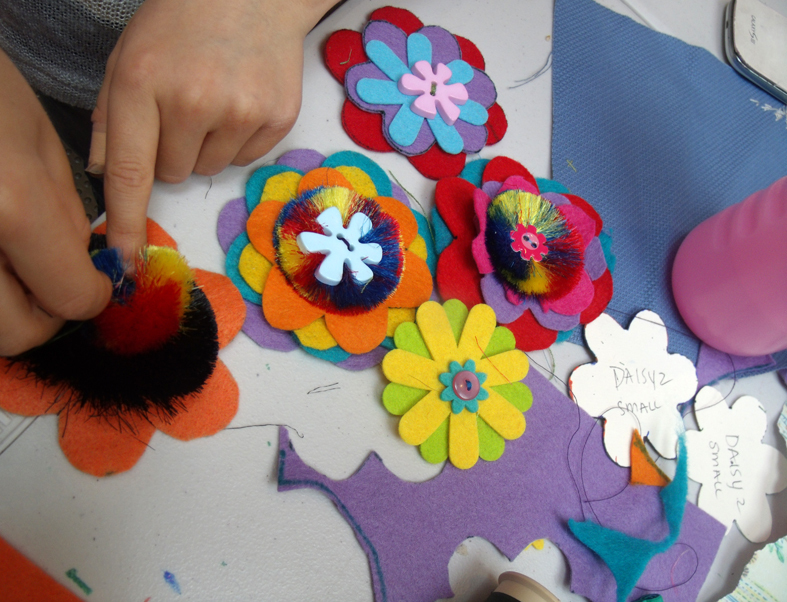 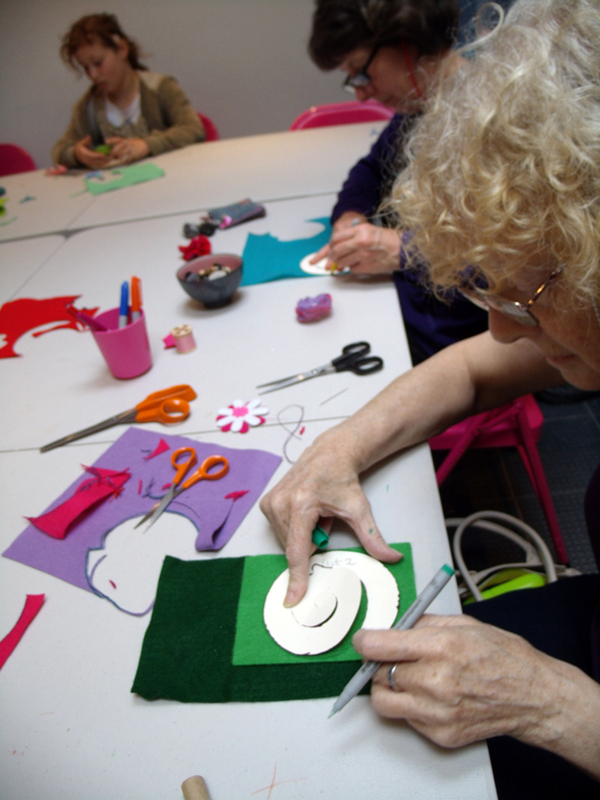 At the summer festival for our local community of Westbury Park in Bristol, England, Heart Space Studios held a day long drop-in session to make felt flowers – for all ages – and all ages came and made masses of flowers and went away wearing them. 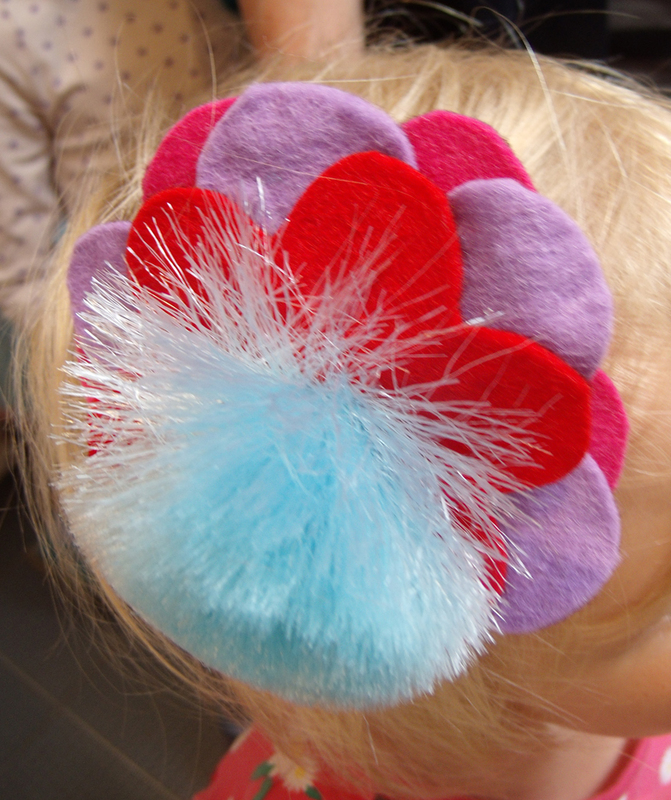 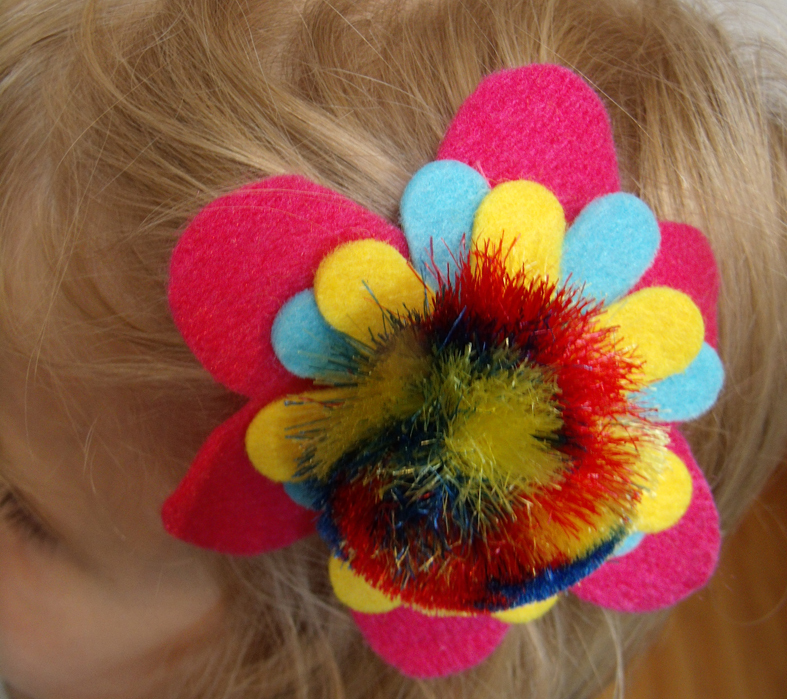 and I had been given some strange pom poms from Aza Adlam, who is a member of our Wednesday Knit and Stitching club – they proved very popular after Poppy, my young volunteer had sampled a few and found out how to use them. 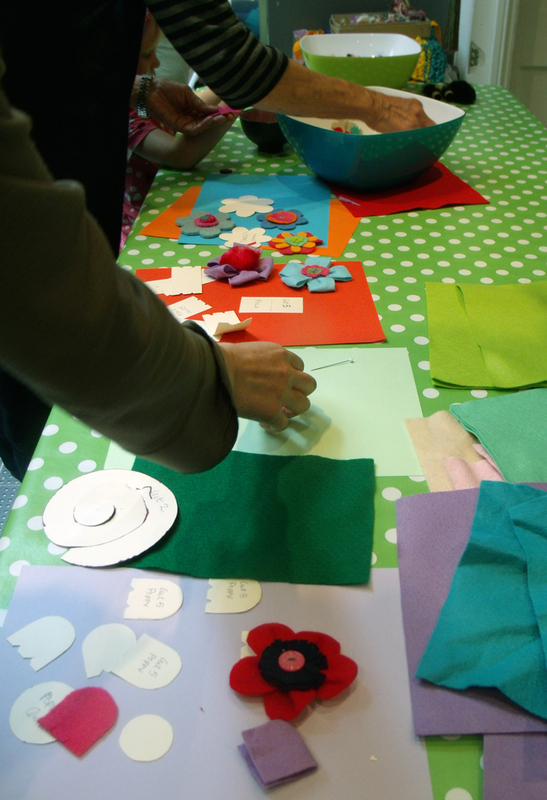 I had designed several shapes for different abilities and tastes, the simple daisies were popular with the younger children – even a few boys got in on the act…. 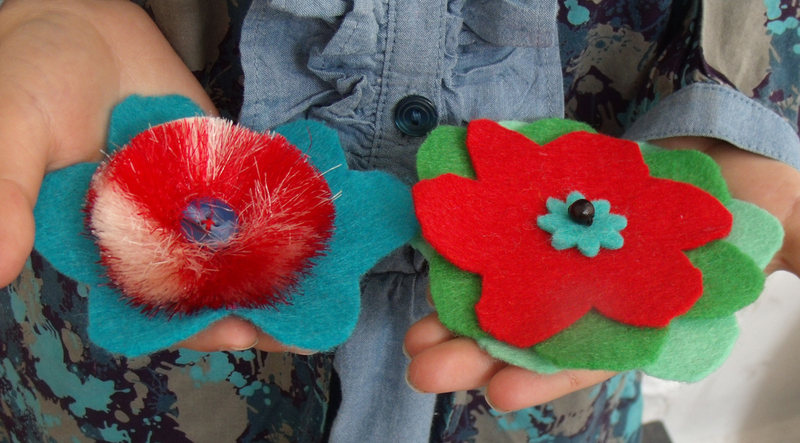 and many children managed to make a couple of flowers in a very short time. 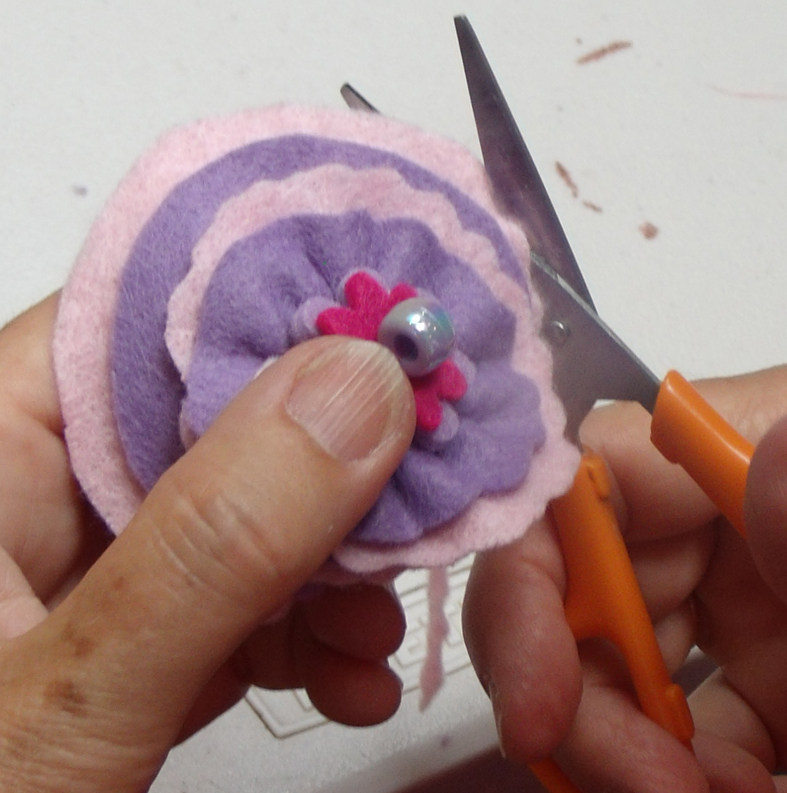 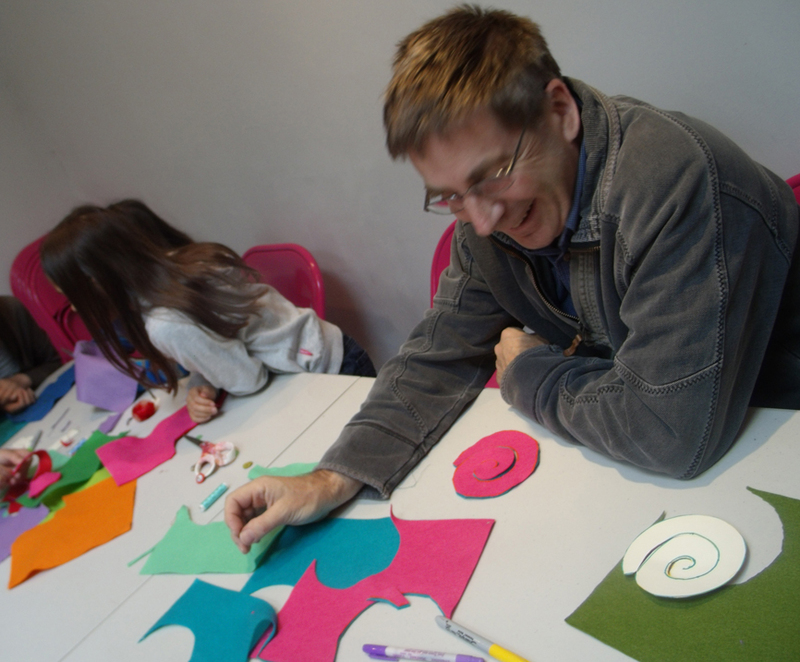 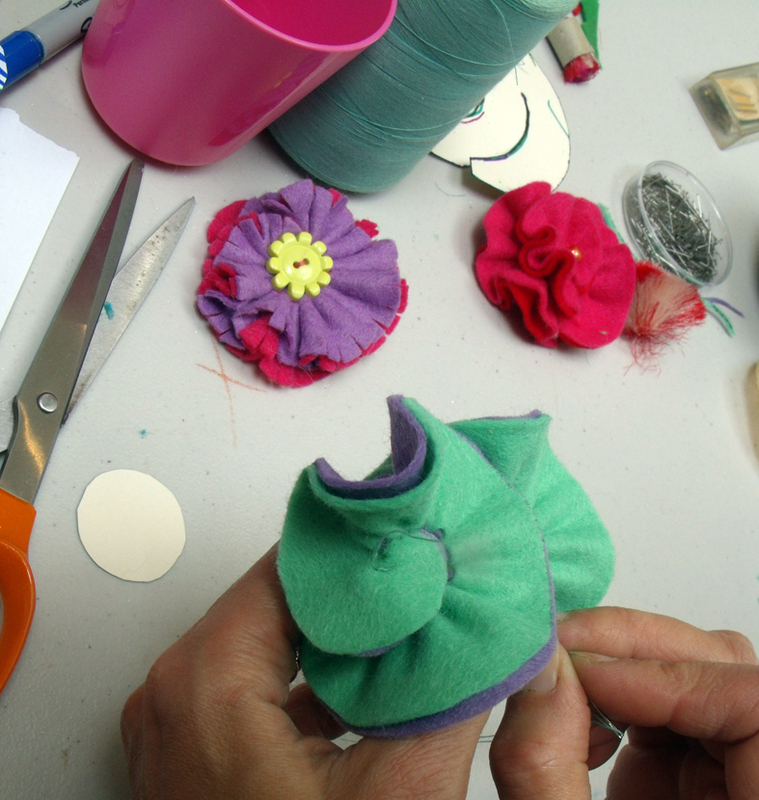 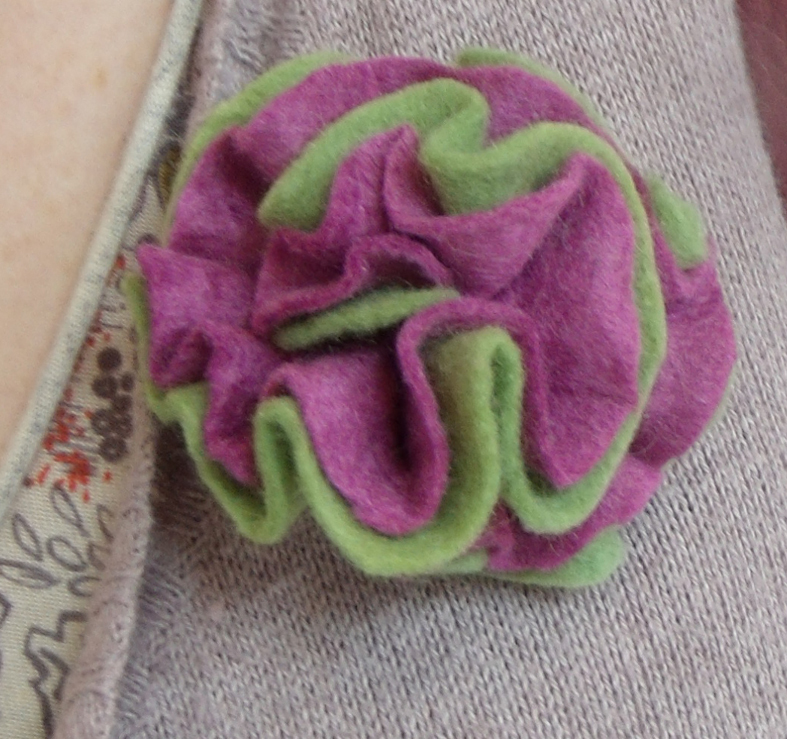 Meanwhile, for the more assured stitchers and one adventurous man, the spiral ruched flower was a quite a challenge. 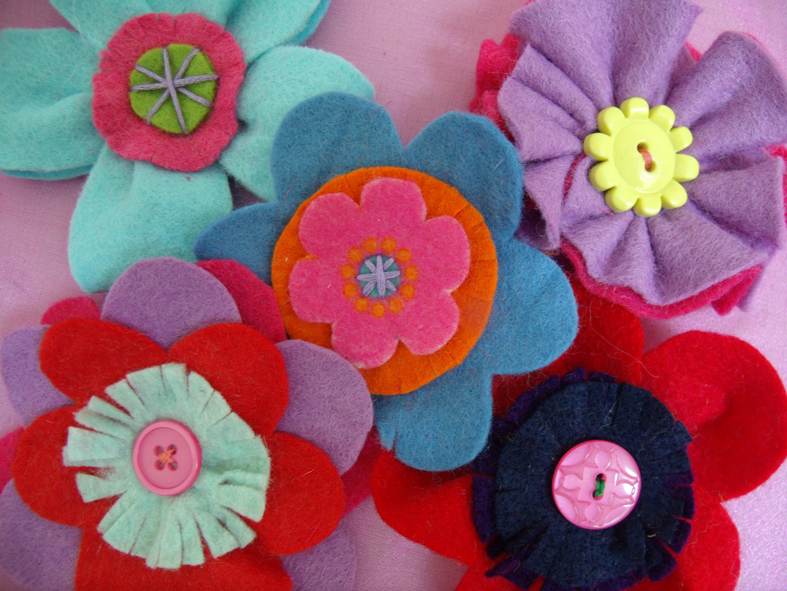 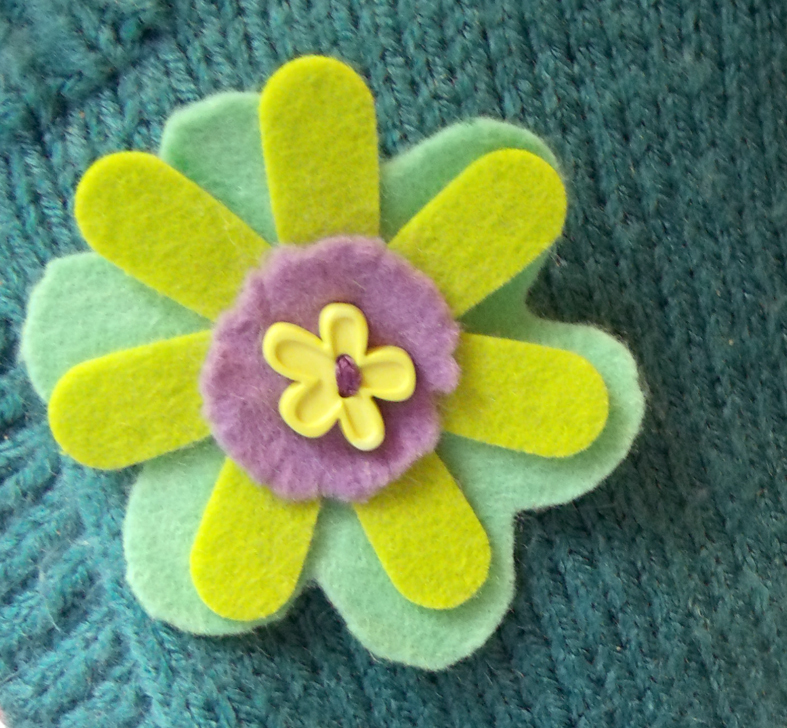 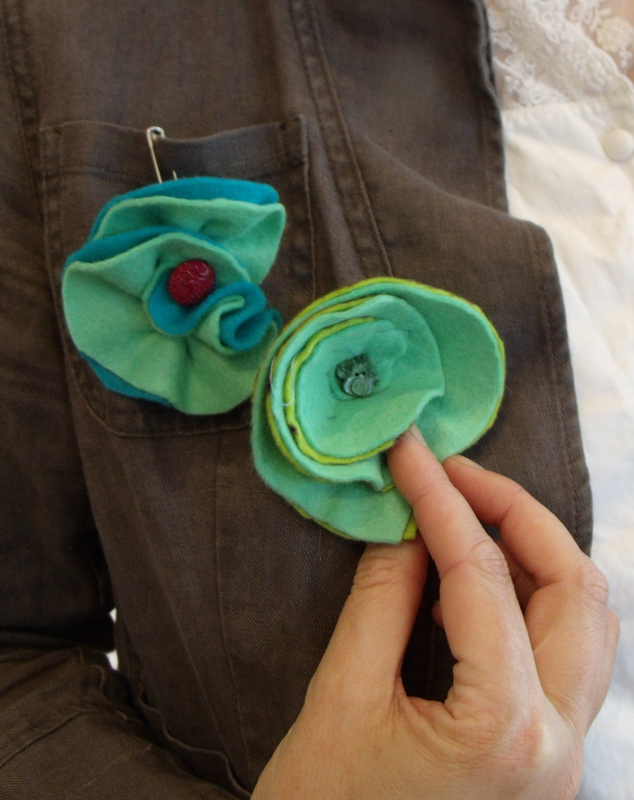 these flowers are rather more sophisticated and a lot more fiddly to make well. 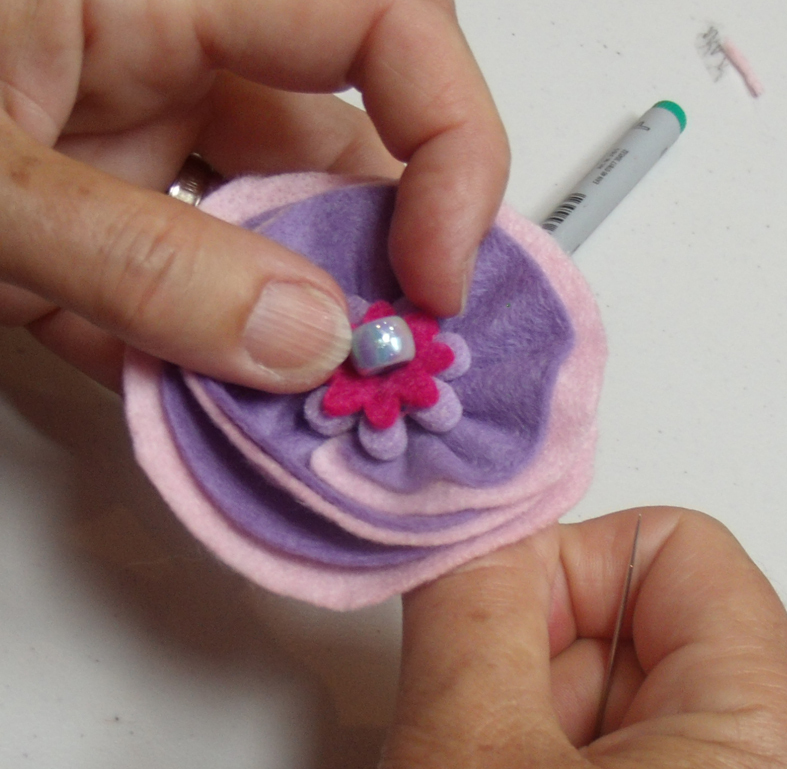 choosing 2 colours for the spiral rose. 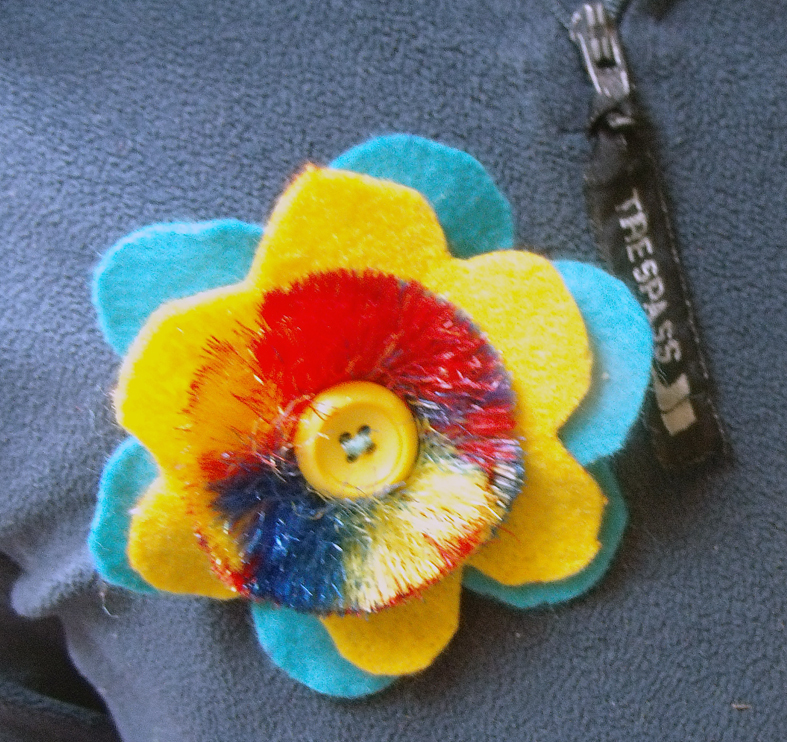 the choice of colours here is all important…..
lots of the finished flowers were worn with pride for the journey home, by parents who had joined in seeing how successful their children had been…..
lovely heathery shade for heathery cardigan made by Heather!